Pass the associate level exam DEA-2TT3 exam to get Associate – Cloud Infrastructure and Services Version 3.0 certification. Dell EMC DEA-2TT3 exam focuses on building cloud infrastructure based on a cloud computing reference model. New DEA-2TT3 dumps have been released recently, which contain 65 questions and answers to help you pass Cloud Infrastructure and Services Version 3 Exam. 1. What refers to an agreement between provider and consumer that states the terms of service usage? 2. What is an advantage of adopting a microservices strategy in an application development environment? 3. Which role in service portfolio management determines and delivers the services that provide value and strategic advantage to the provider? 4. Refer to the exhibit, which represents a consumer environment consisting of multiple VMs running Windows operating systems (OSs). For compliance reasons, the cloud service provider maintains version control over the OS provided to the consumer. The service provider also ensures that the configurations of the VMs comply with the configuration policy for the OS version. The configuration policy includes the two conditions shown in the exhibit. 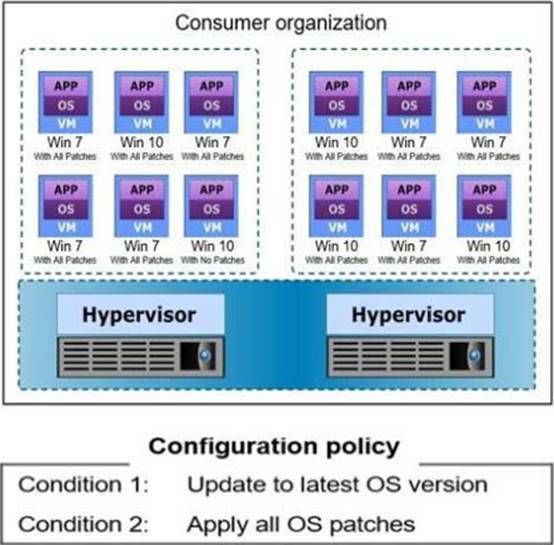 A monitoring tool verifies VM configurations against the configuration policy and provides the compliance results shown. What is the percentage of compliance non-adherence? 5. Which management process ensures business continuity by eliminating single points of failure in a data center? 6. Which Dell EMC product is used for a disk-based backup and recovery solution that provides inherent source-based data deduplication? 7. Which phase of the cloud service lifecycle involves making business use case decisions for the cloud service offering portfolio? 8. Which software-defined storage controller function gathers data about the components and brings them under its control and management? 9. The incident management team is unable to determine the root cause of an incident. To which team should the error-correction activity be transferred? 10. What capability is provided by the “Open and extensible” attribute of software-defined infrastructure (SDI)? 11. What mechanism does RSA SecurID use? 12. What is the function of a monitoring and alerting tool? 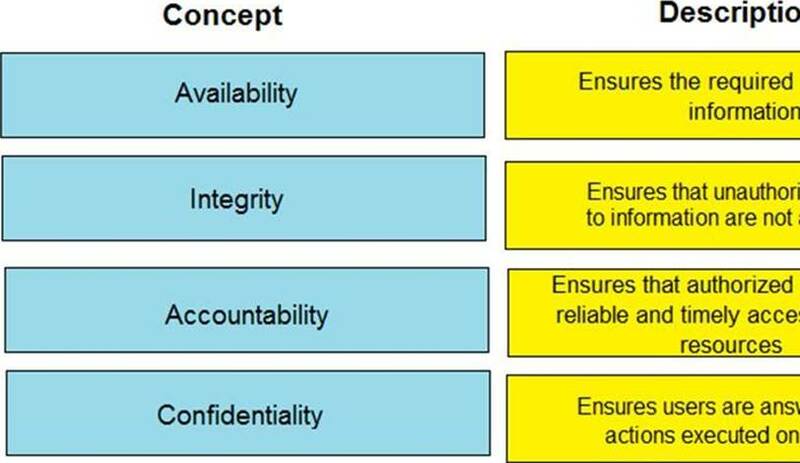 Match each information security concept with its description. 14. What capability does an orchestration workflow provide? 15. What can an IT department do to better meet IT challenges and support digital businesses? 16. What is a characteristic of thin LUNs? A. When a thin LUN is destroyed, its allocated capacity is automatically reclaimed to the pool. 17. Which product provides key management and a data-at-rest encryption mechanism for private, public, and hybrid clouds? 18. What is a key benefit of using containers?